Surya TV Launching The Season 2 Of The Reality Show Surya Singer From This Monday. Surya Singer Season 2 Will Start On 31st March 2014. Time of Surya Singer Season 2 is 8.00 P.M to 9.00 P.M. Sreya Jayadeep Wins The Surya Singer Season 1. Judges of the Show are Sujatha and Venugopal. Both are Popular Malayalam Singer. G 35 plus Contestants between 6 to 12 will Rub there metal. 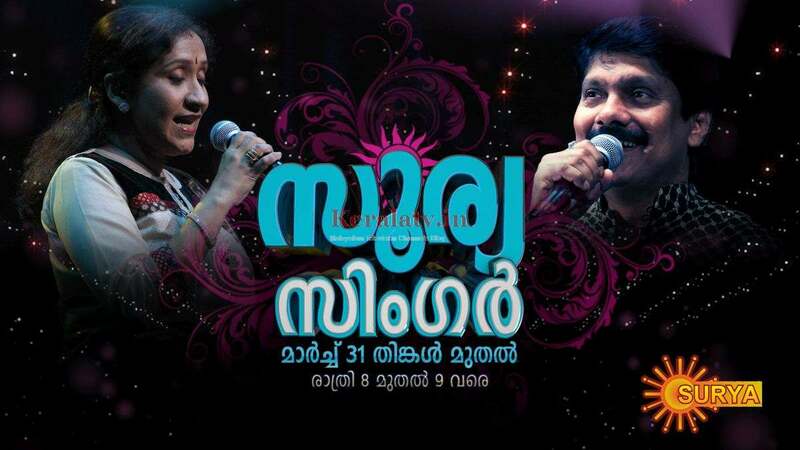 You can Watch This Malayalam Musical Reality Show Surya Singer 2 Every Monday to Friday at 8.00 P.M On Surya TV. Surya Singer 2 Will Compete With Asianet’s Star Singer Season 7. Season 7 Of Star Singer Is Also Launching on The Same Day and Same Time.